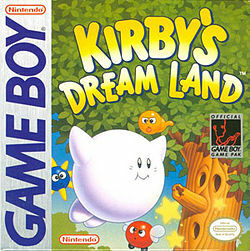 Kirby's Dream Land was the first game I ever owned, and as a result it has a special place in my memory. I can still remember perusing game shelves for my first game and choosing Kirby mainly based on the colorful, eye-catching box art. I'd have certainly gone with Mario, but the store didn't have either of the Mario Land games that existed at the time. It's probably for the best; this is one of the easiest games I've ever played, making it perfect as a first game. It's a short (15 minutes or so if you're familiar with it), unassuming game, but little did anyone know that it would spawn a whole series of Kirby games that would catapult the "tough cream puff" into the pantheon of legendary Nintendo characters. 1992. The Super NES was taking over, the Gulf War had wrapped up as quickly as it started, and Hulk Hogan had ended the menace of Iraq-supporting turncoat Sergeant Slaughter. This charred hellscape is the first stage of the game. It is literally almost impossible to lose a life here. There's our hero, the now-iconic Kirby himself. This screen right here is the first thing I saw as I played my first game. Simply moving from left to right was infinitely engaging and fun. And here's the biggest challenge one can face in the first level: a wall. It's too high to jump over. WE'RE ALL DOOMED! But wait! Kirby can fly. Well, how about that? Once you figure that out, the wall is no problem. This first stage effectively teaches you how to play in a completely organic, natural way. No need for any ridiculous tutorials. NO! GET OUT OF MY KIRBY POST, SUPERMAN 64! The first miniboss is the dastardly Poppy. He's high on opium and throws bombs, two great tastes that taste great together. I could have sworn there was a fight with two of these guys at one point... that must be in Kirby's Dream Land 2. Only in Dream Land can ghosts co-exist with small attack birds, united in their misguided hatred of our hero. The first "major boss" is the iconic Whispy Woods. This is a textbook case of "how to teach someone how to fight a boss in a game". He has several attacks, the most common being apples raining down from above... which is also his undoing. It was problematic for me at first playthrough. "Wait, I have to watch the top of the screen too? This is impossible!" I said. Next up is Castle Lololo. This place is bizarre, but it's full of old-school gaming charm and interesting designs. Here are the bosses of the castle, the nefarious twin duo of Lololo and Lalala. Why is the castle only named after Lololo? That's sexism, dammit. Regardless, this is the most difficult fight in the game, by far. You need to be quick to not get hit by them as they run back and forth. 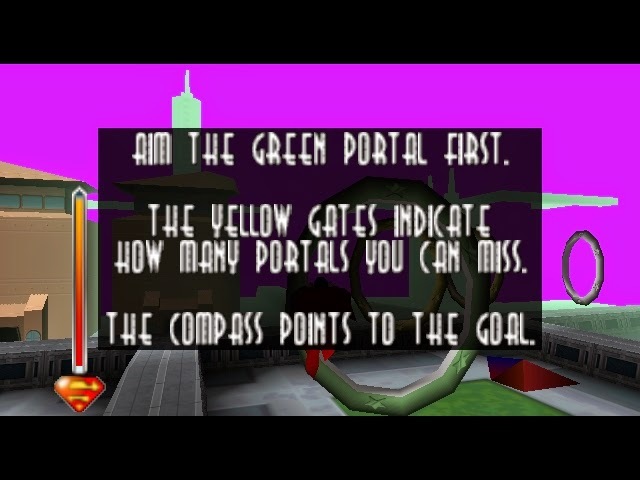 Back in 1993 when I played the game for the first time, this part was an impasse for me. When I finally got past it, I didn't have anywhere near as much trouble with the remainder of the game. Stage 3 is an island paradise. Or so it appears, but it soon turns out that the residents here are all out for Kirby's blood. So it's basically like the Farcry island. One-ups tend to have a weird magical quality in these old games. In this particular game, they're hardly necessary. It's crazy how I can go over a decade without playing this game and yet still remember where the one-ups are. This is why we learn languages better when we're kids... kid brains hoard information. A "tricky" section where Kirby has to fly over spikes. If this game didn't have flight, and if spikes were instant-death rather than just regular damage... well, this part of the game would actually be a challenge. Regardless of the lack of challenge, this game is a good one. It has training wheels on it, but it's very charming. Kirby lets loose with fireballs after getting one of the powerups of the game. These don't last long, and there are only one or two of them in the game. They're a pre-cursor to his being able to retain powers in future Kirby games. ...the third boss of the game, a bastardly blimp with a cannon on it. This thing takes a ton of hits, but it's a fun fight. It's unique in that the entire fight takes place in the air. The fourth stage takes our hero to the clouds. You can speed through most of the game, but it's important to slow it down at this point. These weird disembodied heads blow up when you defeat them, and you don't want to be nearby when that happens. These boomerang-throwing enemies are mainstays in the Kirby series. I almost instinctively tried to take their power when they showed up, but unfortunately Kirby can't do that in this game. The lack of variety causes this game to pale in comparison to later Kirby games, but there's still something cool about the sheer simplicity of this one. Kracko, one of the major villains of the Kirbyverse, shows up for the first time here. Perhaps the first secret room I found in this game is located by pressing up in front of the moon. ...then burns up as he re-enters the atmosphere. Who wants smores? Kracko in his true, powered-up form. This fight isn't easy, but I wouldn't say it's any harder than the twins earlier. After winning that battle, Kirby gets whisked off to the final area of the game: Dedede's Castle. It's one room. You fight all the bosses again here, and before each one is a short stage that reflects their previous domain. The boss rush isn't anything difficult, but I remember dreading having to face these two again. ...King Dedede, complete with HUGE LIFE METER, in your Wrestlemania Main Event. Dedede whips out a SLEDGEHAMMER~! as he takes the fight to Kirby. Massive belly flop! Roll out of the way! Kirby with a STONE COLD STUNNER! Cover! 1! 2! 3! AND YOUR NEWWWWWWWWW CHAMPION! Kirby then inflates into a huge balloon and carries the stolen-food-filled castle back to the people of Dream Land. He's basically the Robin Hood of cream puffs. What a great game. All of your comments about Wario Land's greatness mirror how I feel about this game. I did that too, running around this game looking for hidden doors. Those were the days, eh? There's certainly something to be said for a game that's still fun even though it's easy. Universal appeal. Kracko has a lot of heat as he's the second to last boss. I never had much problem with LoLa, and would say DeDeDe is the toughest because of his huge life bar. It was harder to play these kind of games on the tiny non-backlit screen back then though. 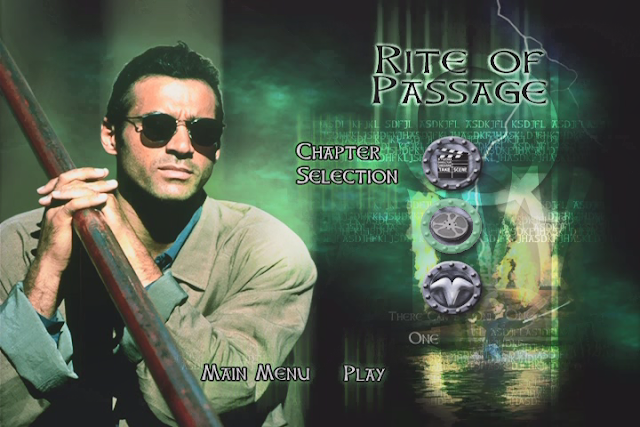 I love the way you lovingly introduced this game and still remember how you felt the first time you played it. A great thing about this game is it's very easy to make out everything on the screen. It's a simple and uncluttered but nice look. A little hard to imagine Kirby not getting powers from things he swallows. That was a great development. Whispy Woods I know VERY well thanks to Smash Bros. I'm with you in how terrific it used to feel to get a 1-up. I'm very very impressed by Kirby taking that entire castle home and not digesting it. Must have been extremely tempting to do that. To make a DBZ-like point, him accomplishing this feat shoots up his power level in my mind.